This is no ordinary Veteran’s Day for me. Sure, I’ve been supportive to our military personnel in word, donations, and thought, but without an emotional connection. Something in me has changed, and it happened on a Thursday in Roseville, California. 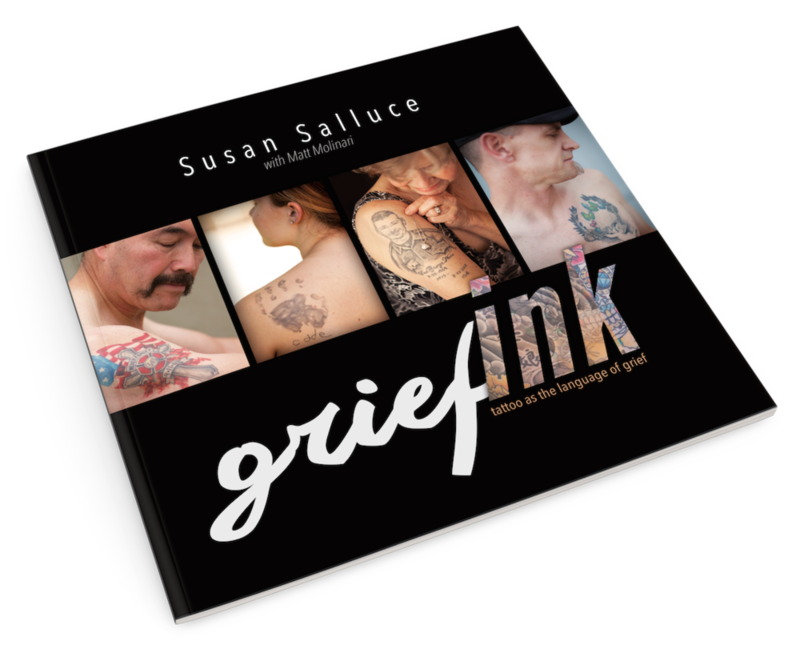 I get to meet amazing individuals as I write my latest book GriefINK—a non-fiction pictorial and narrative about memorial tattoos, their meaning, the back story, and how we carry our lost loved ones through tattoo. On an ordinary Thursday, I had an extraordinary experience while interviewing Jonathan, a humble young man who served in Afghanistan. Jonathan’s tight-knit company was stationed in Mushan, Afghanistan; what he and his brothers call “Moosh”. He was part of an elite company of soldiers known as Explosive Ordnance Disposal (EOD) technicians. It took thirteen surgeries to repair his injuries. Life also looked and felt different for Jonathan once he left the hospital and returned home. At twenty-four, most of his friends were in college, working, or starting families, and he felt five years behind everyone. The trauma he experienced made it more difficult to relate to friends and family, and yet, Jonathan very much sees himself as a survivor, not a victim. For veterans like Jonathan, reintegrating into civilian life can feel like dropping in to a foreign county; home is unfamiliar, and sometimes unsettling. Despite his injuries, Jonathan is creating new meaning in his life, with attendance at a four-year college on the horizon. “I’m all right, but I was more than all right before I got injured.” And yet, he acknowledges that his life could be radically different; different like one of his closest military brothers who risked his safety; whose self-sacrifice resulted in a double amputation, and two years in a VA hospital. Veteran’s Day: a day off of work, or school. The gift of meeting Jonathan spurs me to reflect on my freedom, and know that my rights aren’t free. Take a moment to whisper a prayer of thanks, make a donation, post something on Facebook, send an email, or pick up the phone, and thank a veteran who set aside his/her comfort and safety so that we have can have ours. To donate to EOD Warrior Foundation and/or Wounded Warrior Project—non-profits dedicated to injured veterans and their families—visit the links below. Photo is of the EOD memorial in Florida. It has a plaque with the names of every EOD tech who died in each of the four branches of the military. Every year there is a ceremony to add the names of the individuals who died that year.